28 January, 2013. 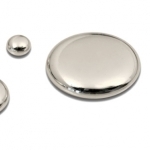 The European Food Safety Authority (EFSA) issued in late December a new opinion on mercury. Much new evidence has surfaced, so one would anticipate that the EU agency would tighten the limit for exposure to methylmercury from seafood. A previous opinion from EFSA concluded that exposures “should be minimized”. That would serve as an excellent starting point. EFSA relied on an external report, and in this 360-page document, the external experts concluded that existing epidemiological data reveal several shortcomings that limited their suitability for risk assessment. But in the absence of solid documentation, can we conclude that methylmercury toxicity is uncertain and therefore irrelevant? I would think not. Mercury may well be more toxic than we have proven so far. EFSA noted that essential nutrients from seafood can benefit brain development. Using recent data from the Seychelles, the experts concluded that methylmercury toxicity is quenched in seafood consumers, unless the mercury exposure is high. In other words, we can eat any seafood, and the only risk is that we may not get any benefits, as they may be counterbalanced by toxicity. So EFSA accepts the presence of mercury toxicity, as long as it does not exceed the benefits from seafood. But should we not protect these benefits and try to control any mercury exposure that can counteract them? Not necessary, says EFSA. EFSA’s new conclusions leads to an exposure limit that is twice the level of the one established by the US EPA and the National Research Council over 10 years ago. The US experts did not allow mercury to consume any benefits from seafood nutrients. However, because some necessary adjustments were left out, the US limit is actually twice as high as it should be. So in fact, the EFSA limit is four-fold too high. EFSA did not discuss the possible existence of genetic predisposition or other sources of increased susceptibility – they assumed that individual variability was no more than 2-fold, which is seems overly optimistic. Although EFSA cited evidence that the risk may be underestimated when the exposure assessment is imprecise (as is always the case, thus leading to misclassification), EFSA concluded that measurement uncertainty could cause either an overestimation or an underestimation of the risk. Thus, no adjustment for imprecision was included in the calculation of a tolerable mercury intake. Another EU agency – the European Environment Agency – a month later published a new report on the precautionary principle and included a chapter on mercury to illustrate the serious consequences when the precautionary principle is not used. Well chosen!